Canadian singer and songwriter Ian Tyson is best known for the 1960's hit "Four Strong Winds," which he recorded as half of the folk duo of Ian and Sylvia. In 2005, listeners of the largest radio network in Canada, CBC Radio One, voted it the greatest Canadian song of all time. Although it was not the commercial success of this classic, I've always had a soft spot in my heart for Tyson's "The Gift," which pays homage to artist Charlie Russell. Tyson included it on Cowboyography, released in 1987, and on his first "best of" collection, All The Good'uns, released in 1996. There have been evenings I've watched the sun set and heard Tyson's song running through my head: "When the Lord called Charlie to his home up yonder/He said, "Kid Russell, I've got a job for you/You're in charge of sunsets in old Montana/'Cause I can't paint them quite as good as you." Jane Lambert included the lyrics to "The Gift" in Charlie Russell: The Cowboy Years (Mountain Press Publishing Company, 2013, 325 pages, b/w photos/illustrations, paperback ISBN-13: 978-0878426157). 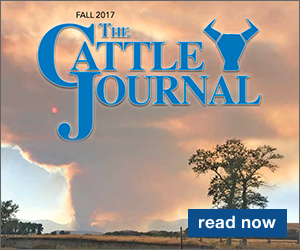 A fifth generation Northern California rancher, Lambert relocated to Montana due in large part to Russell's art. The book is a result of her quest to learn more about the special horses that figured prominently in the artist's life. 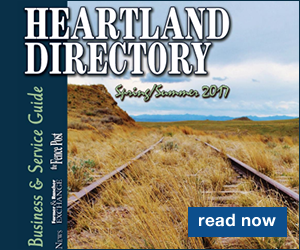 Edited by Nancy Morrison and Linda Grosskopf , the book takes readers back to 1882-1893, eleven formative years when Russell worked as a nighthawk in central Montana. The decade spent herding horses at night, sharing campfires and swapping stories with working cowboys, and painting during the day influenced everything about Russell's art. The book is chock-full of quotations, anecdotes and recollections from Russell and his friends, seasoned with photographs (many of which I'd not seen before), sketches and paintings. It is a captivating account of how one of America's most recognized western artists captured and preserved the waning days of the Plains Indians and the open range cowboy. 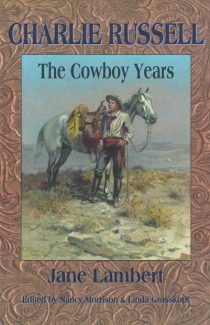 Charlie Russell: The Cowboy Years retails for $20. Look for it from online booksellers. For an autographed copy, send $24 (check or money order) to Jane Lambert, 677 Pine Hollow Rd, Stevensville, MT 59870; 406-777-5988. Cowboy poet, former large animal veterinarian and NPR commentator Baxter Black named "Bronc to Breakfast" as his favorite Charlie Russell painting. (Lambert recounts the circumstances leading up to the melee beginning on page 70 of her book.) Baxter has done for contemporary cowboy performing arts what Russell did using paint, ink and wax. Like Russell, Baxter enjoys a reputation of being a great storyteller, able to capture an event and retell it for the enjoyment of the crew, whether that be subscribers, a live audience or television viewers. Before going on an indefinite hiatus from traveling and performing, Baxter recorded a live two-hour show in Alliance, Nebraska. The resulting Baxter Black Amongst Friends contains his most popular poems and stories: some classic, some new, all hilarious. It's a double audio CD set with bonus DVD, the latter an animated presentation of his suspenseful epic poem, "The Buckskin Mare." 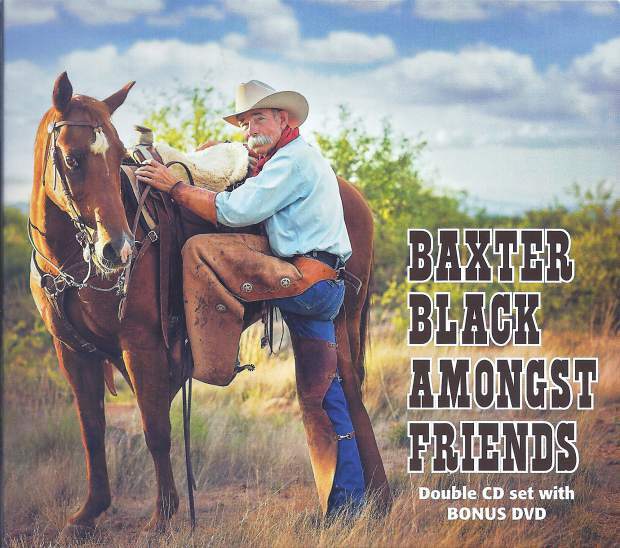 The triple-disc Baxter Black Amongst Friends sells for $22.95 (Visa and MasterCard accepted) from Coyote Cowboy Company, PO Box 2190, Benson, AZ 85602; http://www.baxterblack.com; 800-654-2550. Sharing with family and friends is easy with a "Buy 2, Get 1 Free" offer. Want them autographed or personalized? Add the names in the Comments box, subject line "Please Autograph To…"
Charlie Russell's legacy lives on in The Sons of Charlie Russell: Celebrating Fifty Years of the Cowboy Artists of America by B. Byron Price (The Joe Beeler Cowboy Artist Foundation, 2015, 248 pages, photos/artwork, hardback ISBN-13: 978-0996218306). 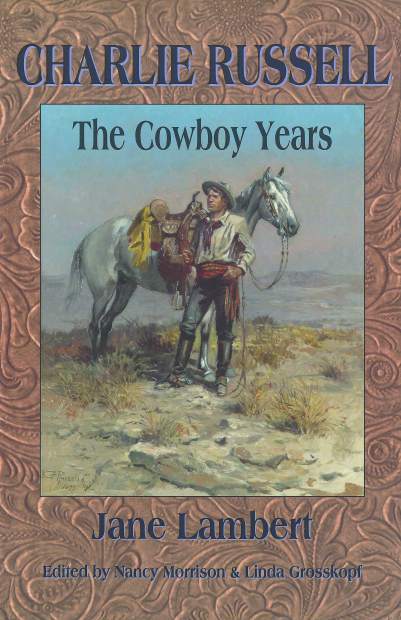 The handsome hardback recounts how a nucleus of western artists met in 1965 in Sedona, Arizona, and resolved to keep the representational style and artistic traditions of Frederic Remington and Charles M. Russell alive. For them, the open range has never closed. Decorated by an embossed, faux-tooled leather dust jacket, the interior is generously illustrated with representative examples of members' paintings and sculptures. Starting with the founding artists and carrying through to active and emeritus members, each is recognized with a brief bio and photo. It's truly a Who's Who of western fine art. 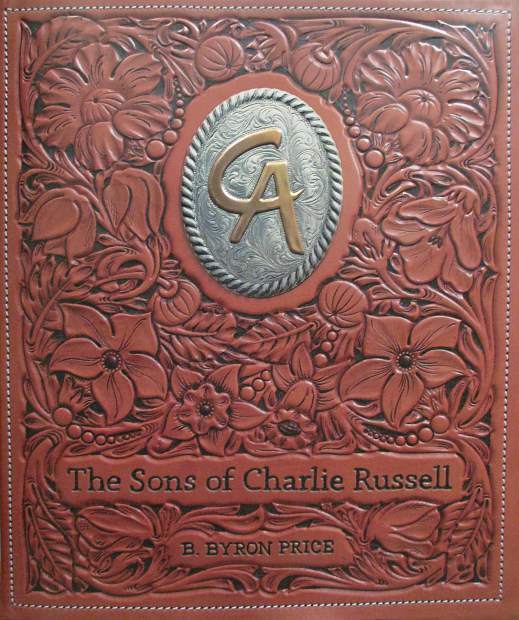 The Sons of Charlie Russell retails for $95. At the time of this writing, it was sale priced at $71.25 from University of Oklahoma Press, 2800 Venture Dr., Norman, OK 73069-8216; 800-627-7377; http://www.oupress.com/.